The global head of FX at BNY Mellon discusses whether the recent volatility in equities has spilled over into FX markets and the upcoming launch of the investment bank’s new prime brokerage business. Hayley McDowell: How did you come to be at BNY Mellon? 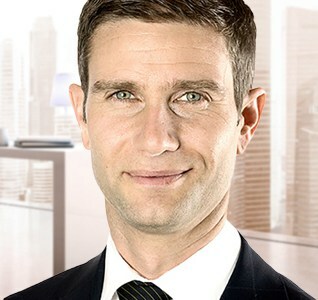 Adam Vos: I started out on the trading floor at Bank of New Zealand trading short-term interest rates before moving to London where I spent ten years overseeing various parts of the FX business. I had a brief stint as the chief operating officer for fixed income products at Deutsche Bank and then I went on to run the FX trading business in New York. That brings us up to the present where I am running the FX business at BNY Mellon. The opportunity to build out an FX business at an institution like BNY Mellon is a really exciting opportunity from a personal perspective. The combination of the BNY Mellon client franchise, the ability to be able to build out systems to meet the needs of today’s markets and hire the right talent to make that happen, rarely comes along in one’s career. We’re rapidly transforming the business and really changing the face of custody banking. HM: How are FX markets performing at the moment? AV: In the short-term, the recent volatility in the equities market hasn’t spilled over into FX markets. Volatility in these two markets doesn’t necessarily correlate and therefore events currently taking place in the equities landscape are idiosyncratic of that market. The past 12-18 months have been characterised by low volatility which has been recognised as a tough environment for FX markets. We like an environment where there is some volatility: our business performs better in these environments. There is generally more client activity and more opportunities. Coming off the back of last year it’s hard to imagine that we will experience the same conditions as those we witnessed in 2017. Although it’s still early days, I think that with equity market movements, rising yields and active central banks, 2018 should be a more successful year for the market. HM: Following plans to launch an FX prime brokerage business and opening a Korean FX trading room in Seoul, what do you expect to see happening at BNY Mellon over the next 18 months? AV: Hopefully we’re going to see some very pleased clients! We’ve got some new products and services we are planning to bring to market which we’re really excited about and we believe will be very beneficial to our core custody clients and help them meet their evolving needs. BNY Mellon really has an exceptional franchise and so we are building out our product offering to plug some gaps in the market for those clients so that we can provide them with a full service FX offering. FX prime brokerage will be the first initiative to launch and we believe there is strong demand for this service. If you look at what has happened over the last 10 years or so, it is clear that the prime brokerage service was simply mispriced before 2008. Post-crisis we saw the introduction of mandatory margin requirements, increased bank capital charges, and a tighter liquidity environment, all of which saw the price for prime brokerage reassessed. Given that it’s now priced appropriately, we feel it’s an ideal time to deliver prime brokerage to our FX clients and we’ve had a fantastic response from that customer base following the announcement. As well as looking at how we are building out the offering to meet our client’s needs we have also re-examined our global footprint. The expansion of our FX presence in Seoul is part of that reassessment. We are on the ground with FX operations in seven different countries throughout Asia, including locations in Japan, Taiwan, China, Singapore and now Korea. The launch of our Seoul trading room and upcoming launch of the prime brokerage business along with some of the other initiatives coming later in the year gives you a flavour of what is happening within the BNY Mellon FX business. HM: From what you’ve seen since 3 January, have FX markets felt the affects of MiFID II so far this year? AV: Heading into the year-end there was a lot of uncertainty around the impact of MiFID II. We put a huge amount of work into our readiness and we felt comfortable at the turn of the year that we would be compliant in addition to maintaining business as usual. We also felt it was important for us as a key liquidity provider to our clients to register as a systematic internaliser. What we’ve seen since the beginning of the year is that markets are continuing to function as they did previously. Our volumes are up slightly on the same period last year, activity has not been muted and we haven’t had any feedback from clients regarding any significant issues.